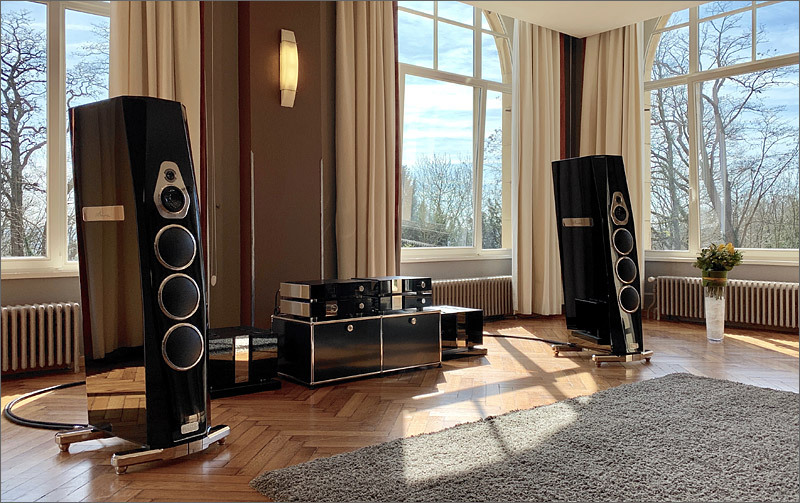 We demoed the TIDAL Akira, the reference speaker John Atkinson from Stereophile wrote about is "...the best built, best looking and best sounding speaker" he ever reviewed, in a castle in Belgium for an audio event. Power amplifiers were the TIDAL Ferios mono blocks and the TIDAL Camira DMC sent the music stream to the TIDAL Presencio pre amplifier. Sound, design and finish par excellence.